When the testing of the blowout preventers was completed, the tubing was latched onto and the rig began operations of pulling on the production tubing in an attempt to pull the seals from the production packer located at 10,830 feet. The hanger pulled free of the wellhead with 54,000 pounds (kips) pull and pulling continued to 80 kips (string weight) and stopped. Pulling continued at 10 kips increments up to 110 kips and stopped. The seals were anticipated to release between 83 to 85 kips. When the seals failed to release the operator began working the pipe from 60 kips to 110 kips with no success. When the operator pulled 120 kips and stopped, the tubing parted at a depth of approximately 4,300 feet. The tubing string was 2 7/8- inch, 6.5 lb/ft P- 105, CS Hydril with a yield of 190 kips. The maximum pull was calculated at 70% (using the API recommended factor of 1.80) of the maximum yield or 133 kips. The tubing parted at 120 kips, which was 63% of the maximum yield. 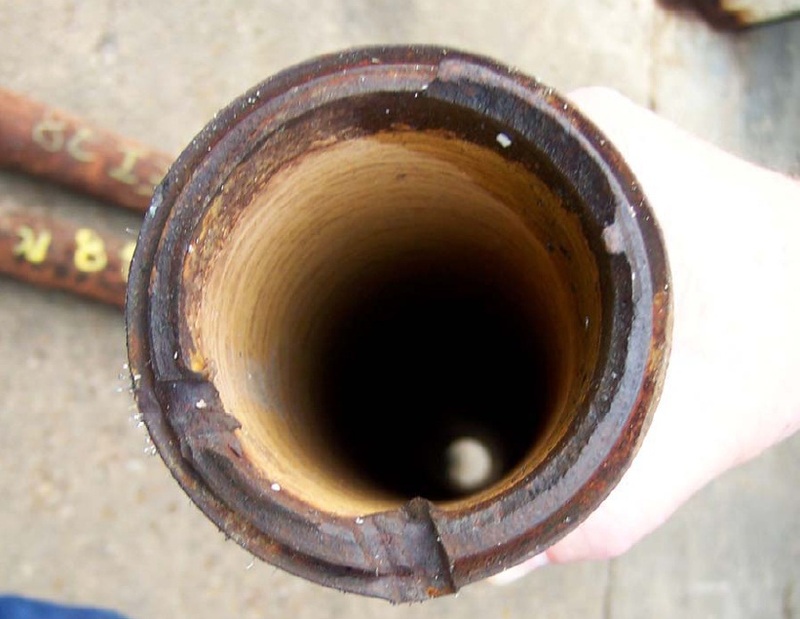 The annulus was full of 11.0 ppg CaCl2 but because the tubing parted at 4,300 feet there was not enough hydrostatic head to contain the well bore pressure. 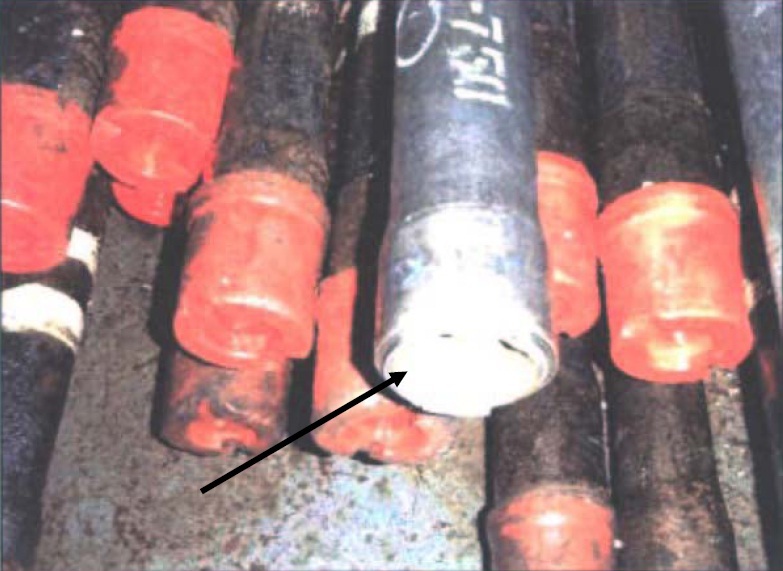 The 4,300 feet of tubing was being ejected (pushed out of the hole by pressure) when the Blow Out Preventer (BOP) was activated, closing the pipe rams and the annular preventers, thus stopping the ejection of tubing and containing the pressure in the annulus. 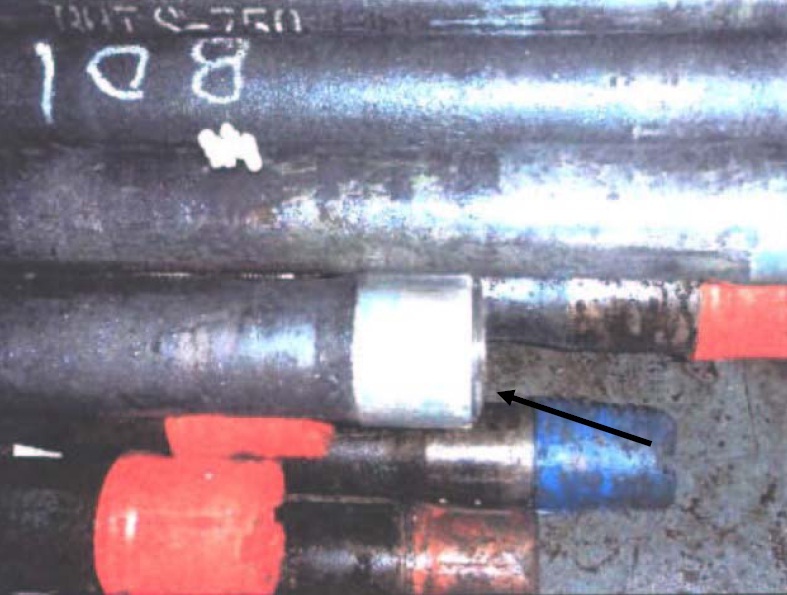 A total of 4 1/2 joints, 135 feet of 2 7/8-inch tubing was ejected from the well, snapping in two at the tool joint between the space out pup joint and the second joint of tubing. This left one full joint of 2 7/8-inch open ended tubing above the rotary table. At this point there was no ball valve on the end of the tubing and the only containment for the tubing volume was the damaged SCSSV. Attempts were made to kill the well by pumping down the annulus without success. Constant seepage around the tubing was noted and Rooster Petroleum decided snubbing operations would need to be employed to kill the well. A few days later arrangements were made to use a snubbing unit to kill the well because the annular preventer started leaking between the tubing and the annular rubber. The following 30 days were spent locating, organizing and rigging up the snubbing unit with frequent delays due to inclement weather. The snubbing unit was rigged up and the well was killed by bullheading 15.3 ppg ZnBr. The 16 inch casing, 7 inch casing, and the 2 7/8-inch tubing were checked for pressure and all read 0 psi. Based on available information and laboratory observation the first tubing most likely failed as a result of fatigue cracking that would greatly reduce the load carrying capacity of the tubing. Final failure was the result of ductile tensile overload. 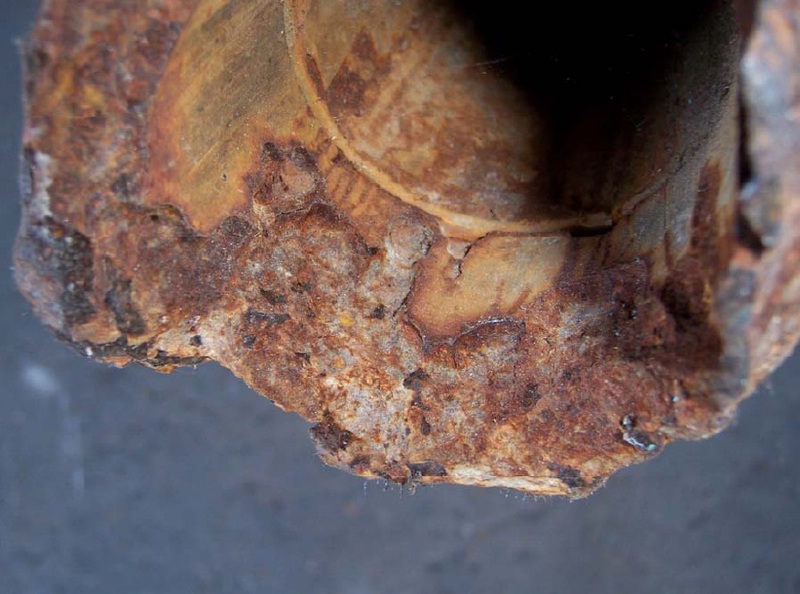 The second tubing section failed as a result of ductile tensile overload most likely because the load carrying capacity was decreased as a result of the extreme flow cuts. The tubing parted at such a shallow depth (4,300 ft) that reaction time would have been reduced considerably. Photo above: Side View of Broken Connection. Photo above: End View Showing Pin Twisted Off. 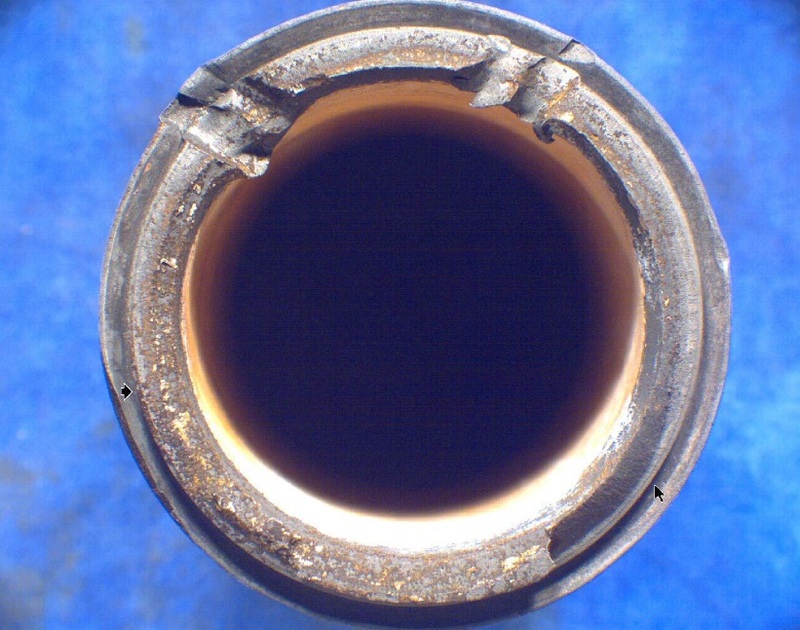 Photo above: Fracture surface of the first failed tube prior to cleaning. Note the deep indentations most likely the caused by the fishing operation. Photo above: Fracture surface of piece after cleaning. Note the flat fine textured area between the arrows. 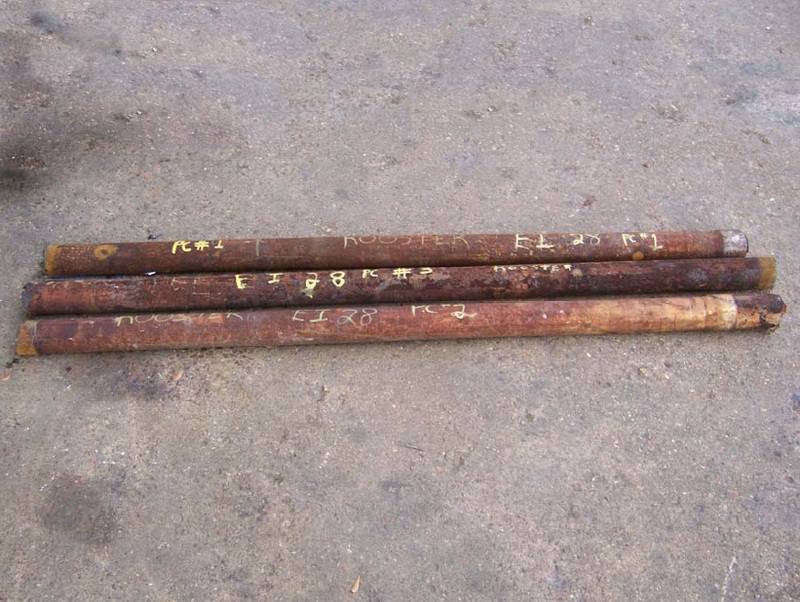 This feature is typical of fatigue type cracking which would greatly reduce the load carrying capacity of the tubing. Photo above: Photomacrograph showing the fracture a surface of tubing. Note the extreme flow cut areas which caused extreme wall thinning. This would also greatly reduce the load carrying capacity of the tubing. 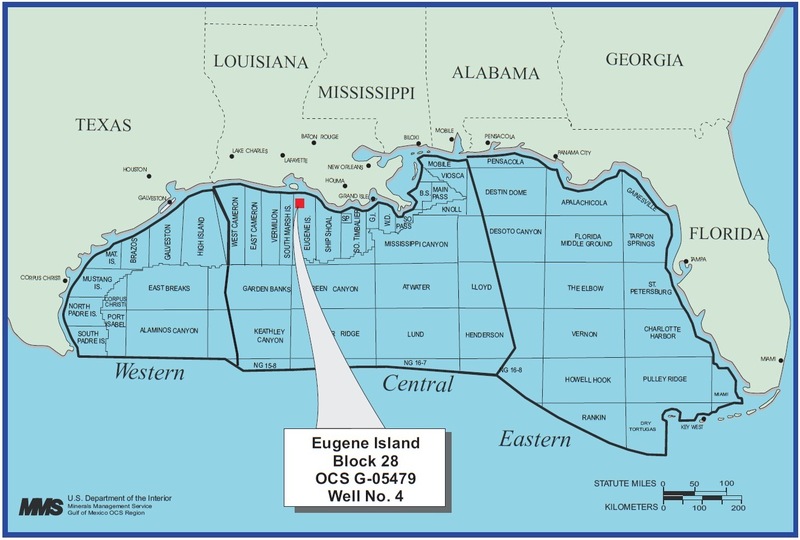 The investigation by BSEE concluded that the operation was being conducted using the standard operating procedures. All the safety precautions appear to have been taken, as well as safety equipment being in place and tested as required in 30 CFR 250.615. BSEE also concluded that the personnel involved reacted in a prudent manner possibly preventing injury to personnel and probably preventing pollution to the environment. 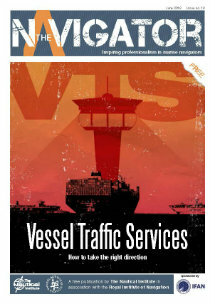 The above prove that when appropriate procedures are being followed and when well trained and skillful personnel is being used then incidents can be controlled without evolving to accidents.